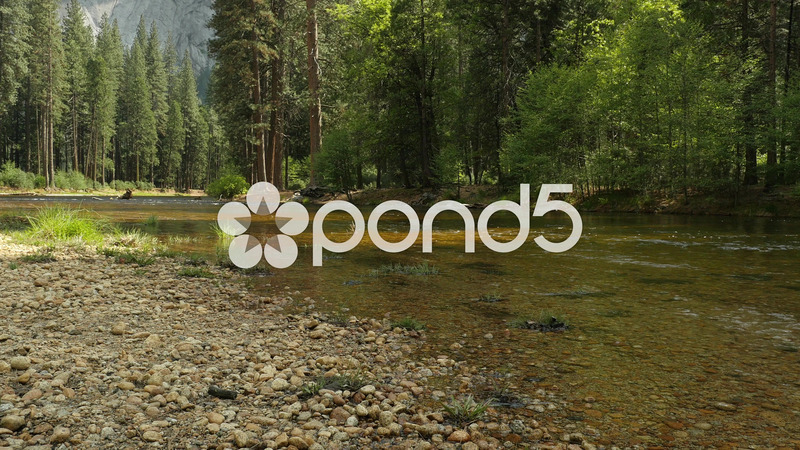 Description: Peaceful and serene water flowing in the Merced River in the Yosemite Valley. Tilt down and Static shots. Mountains in the background.